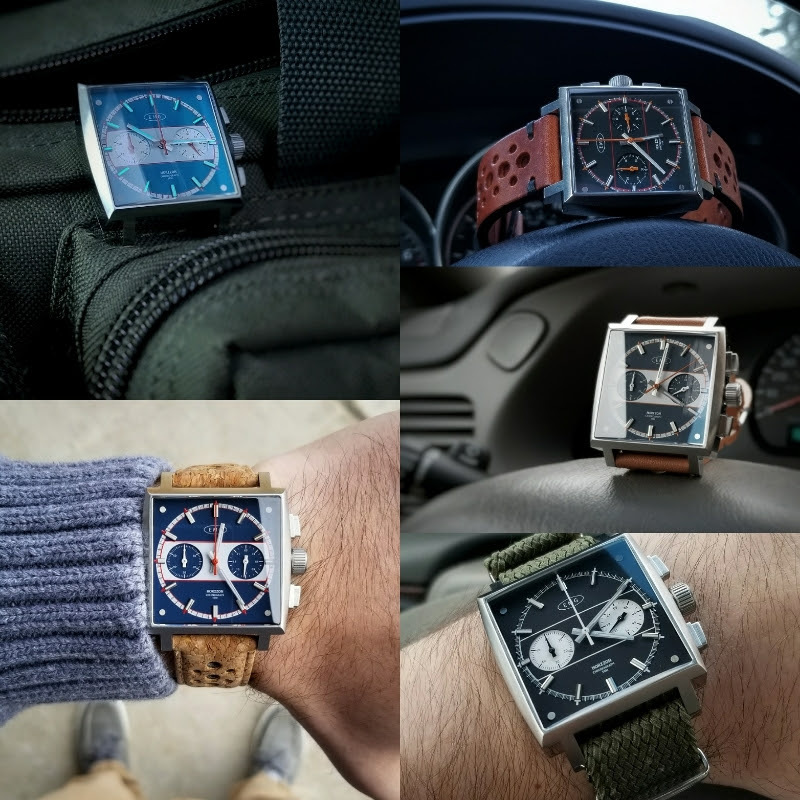 We are big fans of EMG watches here at WRUK, and we were excited to get a glance at two of their latest projects – plus another chance to get your hands on their first watch. We are especially excited about the Horizon, which promises some of the wrist-presence of a TAG Heuer Monaco at a fraction of the price – and in a range of funky colours. First up is the Horizon. We first previewed this square beauty back in September – and now the first prototypes have been produced. They look great, and the company plans some minor changes – such as making the subdials turquoise to match the dial on our favourite version. EMG plan to start taking preorders of the Horizon in a few months time, most probably through Kickstarter. Pricing is still being determined, as we still have to lock in a strap and packaging. Approximate price is around $300. Another new project, in conjunction with HKED (of Seagull 1963 fame) is the Nemo dive watch. 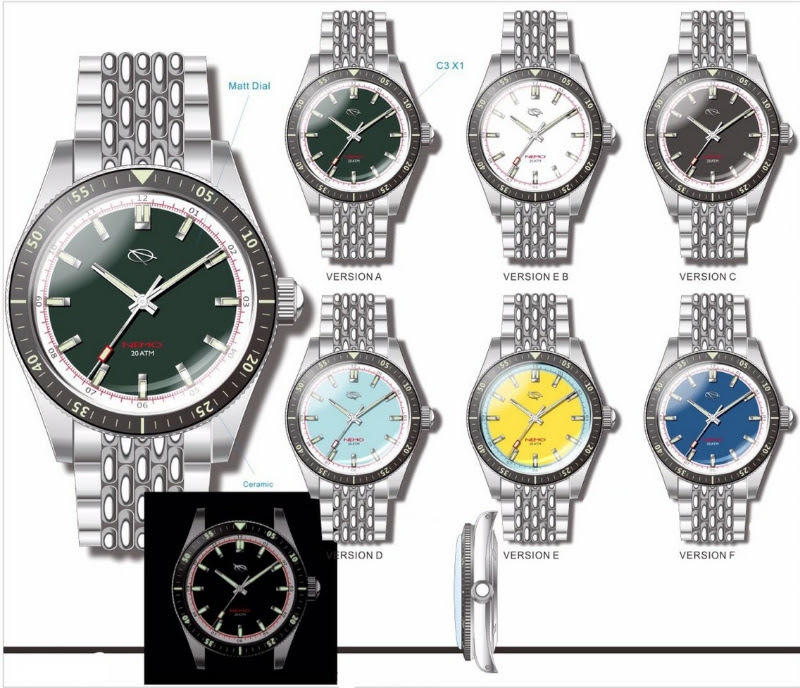 The Nemo shares most of the same specs as the Watchuseek F71 Vintage Diver Project, but it will have a Miyota 90S5 instead of a TMI NH35 movement. 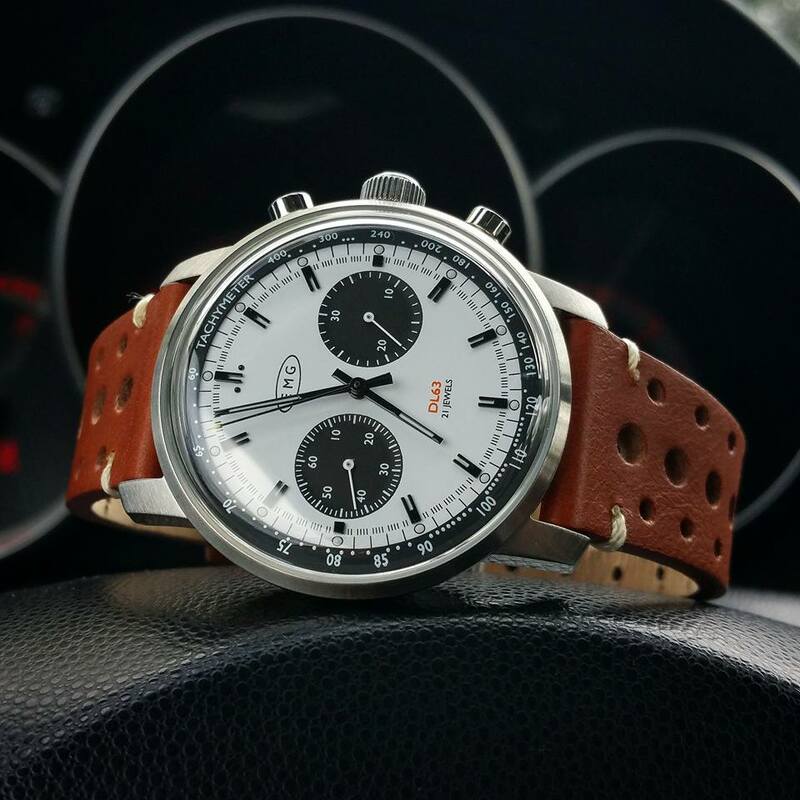 Finally, for those who have not yet got their hands on one of the DL63 chronographs like the one in our hands-on review, more batches are planned, so get in touch with EMG and register your interest at their website today!